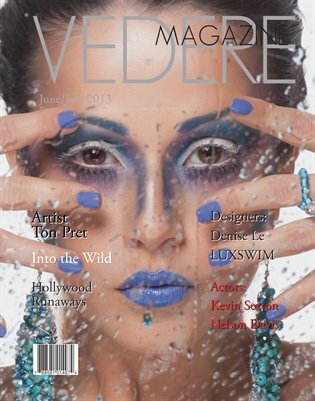 The June/July issue is packed with work from photographer, models and designers from all over the world. Fashion is everywhere so is photography. We explore fashion, art, photography and interesting people from all corners of the Globe. If you looking for emerging professionals in the modeling, fashion, art and photography world look no farther. We hope you enjoy Vedere Magazine and tell your friends about us.